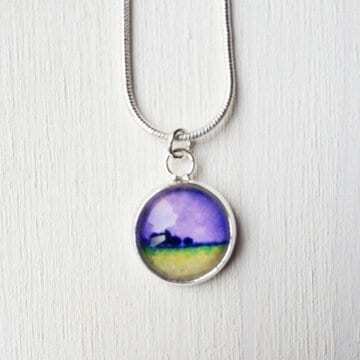 A super cute petite size little necklace, nice and delicate, perfect for work and everyday wear. 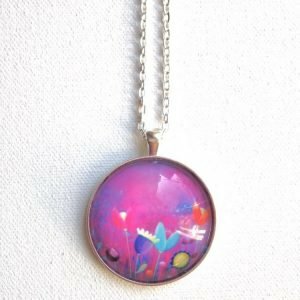 Every piece is handcrafted and would add a nice little splash of colour to your outfit… The glass cabochon measures 12mm, and the bright silver tone metal is nickel and lead free. 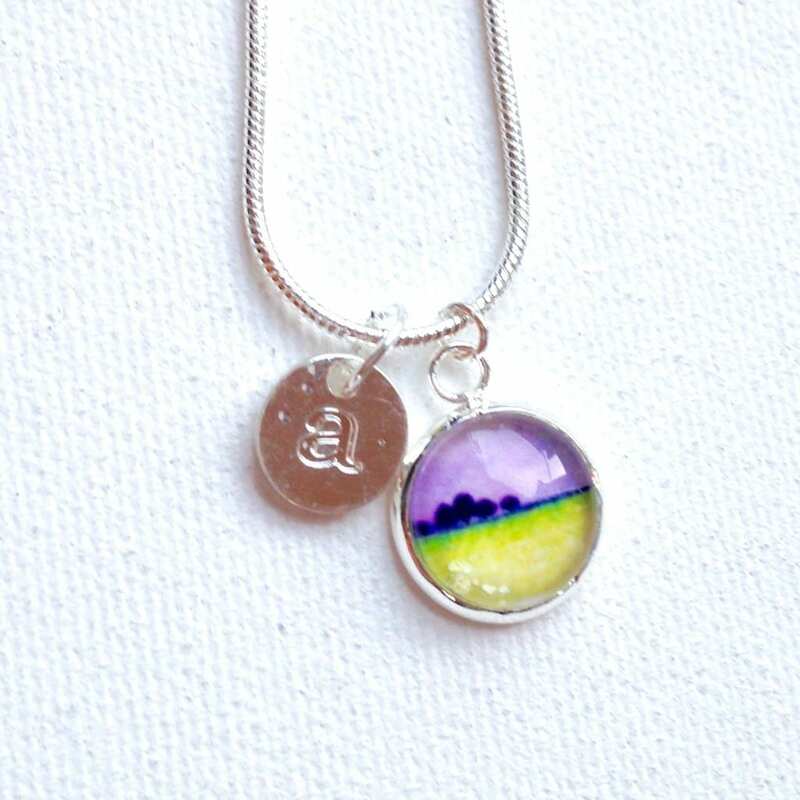 The pendant is mounted on a lovely smooth snake chain. All jewellery pieces come in a pretty gift box, perfect for gift giving or to keep for yourself! And how about personalising it with an added birthstone or initial charm… or both? It would make such a lovely present! *This listing is for the pendant in the main picture, the other pictures are for reference only. The last picture shows you a mini necklace with a silver initial charm.